California’s now four-year drought is serving as a reminder of the everlasting allure of gold. Prospectors have been taking advantage of low water levels, finding pieces of gold that are normally submerged. 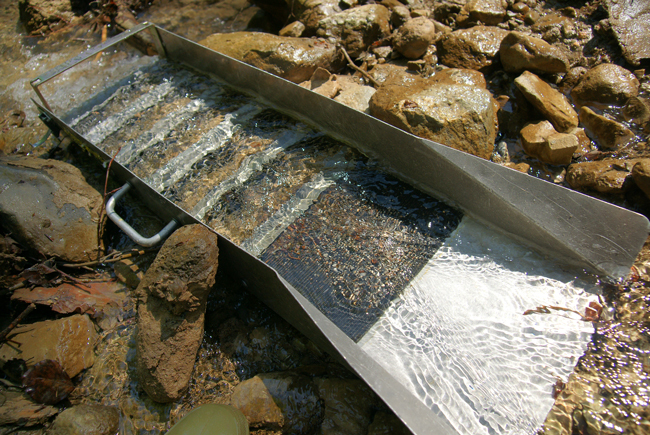 “In recent years, drought-inspired gold seeking has spiked sales of sluice boxes, gold pans and metal detectors at Gold County mining stores from Columbia in Tuolumne County to Auburn in Placer County. While the drought, now in its fourth year, has rendered many creeks too dry for panning, new adventures are opening elsewhere as receding waters reveal more treasures,” wrote the Sacramento Bee. Placerville Hardware was founded in 1852, four years after James Marshal discovered gold in California. Prospectors now come into the store to show off pieces of gold they’ve unearthed from nearby creeks. Although it is an enjoyable hobby for many, you don’t need to go prospecting in California’s creeks to own gold. Purchase physical gold coins and bars for your retirement account or for direct delivery by contacting American Bullion at 1-800-326-9598.